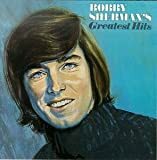 Bobby Sherman's, "Easy Come, Easy Go"
She wasn't kind, I wasn't smart. I lost my mind and fell apart. The whole song is about a guy who lost love because the girl was cruel to him. And yet...it sounds like a feel-good bubble gum tune.